You can use these slogans in any anti water pollution campaigns. Water pollution is very difficult problem today. The pollution especially the water pollution is the main issue that is effecting the human lives in many ways. It is necessary that we should work together to remove pollution form our lives as soon as possible. Organize events with your colleagues , neighbors that also include your children for fight against water pollution . It is our duty to spread awareness about the water pollution in the society. Here we are providing Water Pollution Slogans in English and Hindi . You or anyone can choose these water pollution slogans to rise awareness. Note - Read All Pollution Slogans , Pollution Essay on this blog. Water pollution has become a big danger on the planet that affects the human and animal lives . The biggest problem is that Pollution is caused by us. Toxic pollutants generated by the human activities making water full of toxic elements .The water is getting impure through several sources like agricultural pesticide, industrial wastage, animal wastes etc. All the pollutants are terribly harmful to the atmosphere. Day by day pollution is reaching to the highest level. We should change our habits that creates water pollution. We have collected quality slogans on Water pollution in English as well as in Hindi Language . Right now this list contains 180+ slogans , however this list is every growing . Keep sharing these slogans. Be apart of the solution, not the water pollution. Be fair, don't pollute the water and air. Be kind to our friends that dwell in the ocean. Be the Solution of Water Pollution. Be the solution to water pollution! Cause a commotion to save our ocean! Clean up your mess and keep the world healthy. Clean water is blessing from God, don’t pollute it. Clean Water Revolution is the best Solution to remove Pollution. Consider the ocean your living room. Keep it clean! Destroy water , you destroy life. Dilution is the solution to pollution. Do your share for a cleaner water and air. Don’t dirty the water around you. 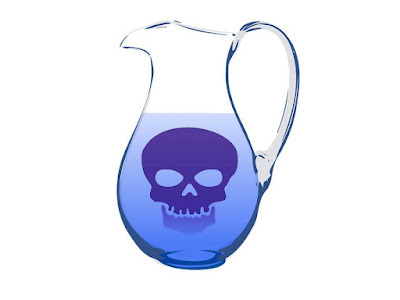 You may have to drink it soon. Don’t make water bodies a dustbin of your wastes. Don’t pollute water; it will put you on bed. Don’t spoil water and understand the value of water. Don't make water bodies a dustbin of your wastes. Every drop of clean water is important to us. Fight water pollution at right time before being late. Fight water pollution before it's too late! Get involved to stop the wave of water pollution. Give a big hoot to those who pollute. Help find the cure to the pollution of our shores. If you continue polluting water, you have to pay a big cost in future. If you drink polluted water you may get gastro diseases. If you pollute water, you pollute life. It’s we who are spreading water pollution, nature will never forgive us. Join the No Pollution Revolution. Keep water bodies clean and safe. Lets find a solution and stop this Water pollution! Like drinking from a puddle? Then don't pollute our water! Never compromise on the quality of your drinking water. Don't pollute! No pollution is the clear solution. Polluted our water, kill our children. Polluted water carries water borne diseases. Polluted water causes diarrhea to your kids. Polluted water costs much to you every year! Poor quality water means decline of your health. Raise voice against water pollution! Raise your voice against water pollution. Save the fishes!, don’t pollute! Save water from pollution to secure the future. Stop Pollution Quick, Don't Make The Water Sick. Stop the pollution quick don’t make the water sick. Stop water pollution quick to be prevented from getting sick. The water you pollute will find its way back to you. Think about a solution for water pollution. Think about solution of water pollution. Unite to search solution for water pollution. Want life or death, you choose! Stop water pollution! Water is life, don't pollute it. Water is life, to keep it alive, fight day and night! Water is to drink not pollute and waste. Water Pollution ain't cool so don't be a fool. Water Pollution if you don't kill it , it will kill you. Water Pollution is injurious to health. Water Pollution is not just harmful. It’s deadly. Wipe out pollution before it wipes you out. You are what you drink. आइए समाधान ढूंढें और इस जल प्रदूषण को रोक दें! जल प्रदूषण के खिलाफ आवाज उठाओ! बहुत देर हो चुकी है, पानी प्रदूषण से लड़ो! मछलियों को बचाओ !, जल प्रदूषित मत करो! If we want to drink pure water and expecting a water pollution free life , we all need to be a volunteer of anti water pollution campaigns. In this mission these Water pollution slogans will help you. You are free to share and use these Pollution Hindi slogans and Pollution English Slogans. Thanks for visiting our blog Digital Safalta.